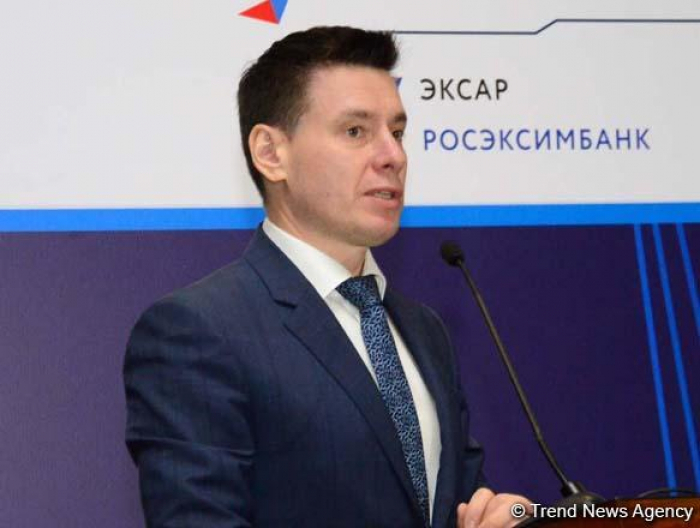 The Russian Export Center has a wide range of measures to support companies implementing joint projects on creating new enterprises in the manufacturing and industrial sector, as stated by Chief Director of the Russian Export Center Andrey Slepnev at the event organized in connection with the visit of a delegation of Russian companies in Baku, AzVision.az reports. He noted that a large project for supporting international cooperation has been launched in Russia, which provides for issuing preferential loans to support certification, protecting trademarks, creating joint ventures with foreign partners (including Azerbaijan), and developing infrastructure. "As in, there are indeed real tools through which high-quality cooperation can be achieved, suggesting a positive result from bilateral cooperation. This implies providing support to Russian companies operating in Baku, as well as Azerbaijani companies operating in Russia," said Slepnev. He noted that the meeting of the business mission in Baku confirms the readiness of the Russian side for open and mutually beneficial cooperation in more important areas of economy and industry. Baku hosted a meeting of Azerbaijani and Russian entrepreneurs. The event was attended by Azerbaijan’s Economy Minister Shahin Mustafayev, Chairman of the Board of the Azerbaijan-Russia Business Council Samad Gurbanov, Acting President of the Azerbaijan Export and Investment Promotion Foundation (AZPROMO) Yusif Abdullayev, and Chief Director of the Russian Export Center Andrey Slepnev. The Russian delegation consisted of representatives of more than 60 Russian companies operating in various sectors of the economy, including agriculture, ICT, automotive engineering, chemical industry and other sectors.